Please join me in welcoming Douglas Nicholas to Melissa’s Eclectic Bookshelf. He’s here to talk about the exciting 3rd book, Throne of Darkness, in his Red Something series. After I retired from piracy, I turned to poetry to ease something of the boredom that life on land, with no prospect of rapine and pillage, engendered. (I was going to shoot a man in Tucson just to watch him die, but it seemed a bit . . . ill-mannered, so I refrained.) I had some success with my poetry, detailed in my author’s bio. * I’ve written three fantasy novels set in the thirteenth century: Something Red, The Wicked, and Throne of Darkness, and I’m working on a fourth. I’m also the author of four books of poetry: Iron Rose, a collection of poems inspired by and set in New York City; The Old Language, reflections on the company of animals; The Rescue Artist, poems about my wife and our long marriage; and In the Long-Cold Forges of the Earth, a wide-ranging collection of poems. I live in New York’s Hudson Valley with my wife, Theresa, and our Yorkshire terrier, Tristan. 2. Can you tell us a little about the transition from writing poetry to writing novels? A novel is a lot longer, of course, and a lot more work. You can’t expect to have the same concentration on perfect word choice and the music of phrases as there is in poetry, but I tried while writing the novels to avoid flat or weak sentences as much as I could, and I do think some of my poetry “voice” carried over into the prose, and made it better. 3. 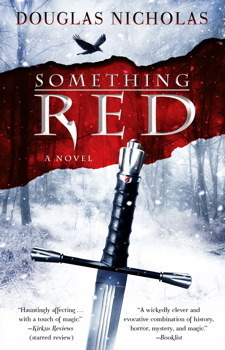 Why 13th century England as the backdrop for the Something Red series? I had some familiarity with the period—I studied medieval literature in college and in some grad school courses, and I’ve always been an avid reader. I wanted to show that period when the Norman French overlords and the conquered Angles and Saxons were beginning to fuse their languages into English. I needed a castle and snow for the claustrophobic ending of Something Red, so it had to be set post–Norman Conquest, and I didn’t want to get into the overly structured late medieval period, with plate armor instead of chain mail, and a more rigid society. The early twelve-hundreds seemed just right, and as for place: the North Country of England, sparsely populated and with mountains for my little troupe to struggle over, was an ideal setting. I hope that they will feel as though Molly and her family are real people moving through a solid world, and that they will want to come back in a few years and reread the books, just to revisit her. As I’ve said before, I wanted to see if I could take a strong and voluptuous gray-maned woman in her early fifties and make her believable as a powerful, admirable action hero: sexual, formidable, and the most intelligent character in the book. 5. How do you feel about comparisons between your series and the Harry Potter series? Well, both deal with the supernatural, and both have a young boy becoming a man. But the real protagonist of my books is the troupe—it’s an ensemble story, and although I consider Molly herself to be the chief character, the others also have their parts to play. Something Red and its sequels are also very definitely not written for children; I’ve tried for an elevated, stately prose, and it’s a decidedly grownup read. 6. To which member of your troupe of travelers do you most closely relate? I believe in the magic in a young girl’s heart, and when it comes to Theresa, I believe that every little thing she does is magic. Otherwise, no. Some people have felt that Something Red got off to a slow start. But I liked the pace; it’s almost become a cliché to have an explosive scene on page one. There is a sighting of the monster on page 2, and there’s a mangled corpse soon thereafter, but action movies have created a hunger for nonstop violent excitement, and some readers aren’t so interested in setting, or character, but are more focused on plot. As I said in answer to question 5, it’s not a book for children. Or grownups with ADD. Throne of Darkness does hit the ground running, but not all chapters are as frantic as chapter 1. 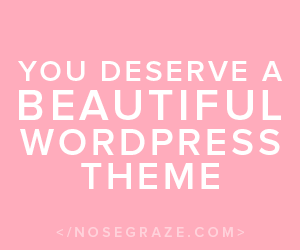 The best compliments are those that respond to the beauty of the language, or the solidity of the setting, or that praise the development of the characters, but my favorites are three separate commenters, not known to each other, who said that the books got them through some tough periods in their lives. Currently I’m reading Christopher Buehlman’s The Lesser Dead, although it’s not the most comforting book for bedtime reading, late at night, the house dark, and—did you hear something downstairs? I’m thinking of switching to The Six Bunny-Wunnies Bake Cookies. Favorite authors include Jack Vance, Cecelia Holland, the aforementioned Buehlman, Susanna Clarke, Michael Chabon, Tanith Lee, Cormac McCarthy, M. R. James. E. R. Eddison for The Worm Ouroboros but not his others; Lord Dunsany. Tolkien of course, and Robert E. Howard. Henryk Sienkiewicz, Bram Stoker of course, Melville Davisson Post’s Uncle Abner—near-Biblical stories of early Virginia. Manly Wade Wellman’s Silver John stories. And the obvious ones like Melville and Austen, etc. I’m leaving out hundreds, because I always go blank at questions like this. 10. Do any animals share your life? Please tell us about them. and what is only gold? Synopsis, unless the cover’s by Frazetta. Hardcover if I’m up; paperback in bed, because it hurts less when you fall asleep and drop the book on your face. Both Fantasy and Science Fiction. Both are good, but a series is hard to sustain; once you start to count the titles on your other hand, the quality tends to go down. Neither; for some reason I don’t have any trouble finding where I left off. Maeve and her troupe believe to have encountered it all: sorceresses, warrior monks, shapeshifters, deathly snowstorms and the “creature of blood and dream.” Unbeknownst to them a darker threat is brewing. 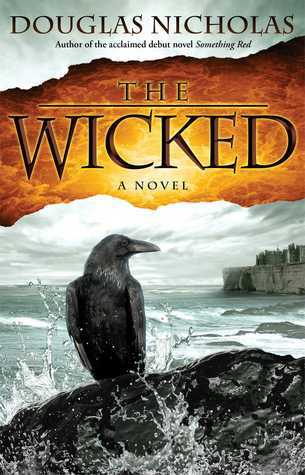 The mystical Irish queen along with her lover Jack, her powerful granddaughter Nemain, and Nemain’s husband Hob return for another action-packed journey in this third installment of the thrilling dark fantasy series by acclaimed author and award-winning poet Douglas Nicholas. It’s 1215 in northwest England –the eve of the signing of the Magna Carta– and tensions are running high between King John and the Northern barons. Word of a threat reaches the noblemen: King John has plotted to import a sorcerer and his sinister clan, whose unearthly powers may spell destruction for the entire kingdom. On the verge of being engulfed by this foreign force, Maeve and her band of mercenaries must protect the kingdom and overcome an evil danger unlike any she’s ever encountered. With his characteristic blend of rich historical and mythological elements, Nicholas once again “goes for the throat…with brilliant writing and whip-smart plotting” (New York Times bestselling author Jonathan Maberry). He is a master of descriptive narrative and characterization who is capable of transporting the reader to a 13th century northern England through innate storytelling. 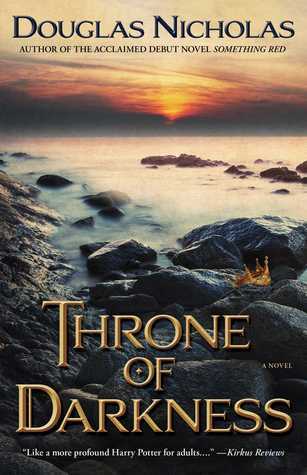 THRONE OF DARKNESS is the continuation of two equally fascinating books (Something Red and The Wicked), perfect for fans of dark epic fantasy series like Game of Thrones. Its richly woven plot will leave you hungry for more. Douglas Nicholas is an award-winning poet whose work has appeared in numerous publications, among them Atlanta Review, Southern Poetry Review, Sonora Review, Circumference, A Different Drummer, and Cumberland Review, as well as the South Coast Poetry Journal, where he won a prize in that publication’s Fifth Annual Poetry Contest. 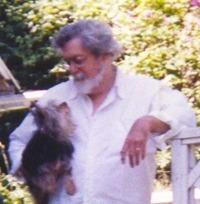 Other awards include Honorable Mention in the Robinson Jeffers Tor House Foundation 2003 Prize For Poetry Awards, second place in the 2002 Allen Ginsberg Poetry Awards from PCCC, International Merit Award in Atlanta Review’s Poetry 2002 competition, finalist in the 1996 Emily Dickinson Award in Poetry competition, honorable mention in the 1992 Scottish International Open Poetry Competition, first prize in the journal Lake Effect’s Sixth Annual Poetry Contest, first prize in poetry in the 1990 Roberts Writing Awards, and finalist in the Roberts short fiction division. He was also recipient of an award in the 1990 International Poetry Contest sponsored by the Arvon Foundation in Lancashire, England, and a Cecil B. Hackney Literary Award for poetry from Birmingham-Southern College. He is the author of Something Red and The Wicked, fantasy novels set in the thirteenth century, as well as Iron Rose, a collection of poems inspired by and set in New York City; The Old Language, reflections on the company of animals; The Rescue Artist, poems about his wife and their long marriage; and In the Long-Cold Forges of the Earth, a wide-ranging collection of poems. He lives in New York’s Hudson Valley with his wife, Theresa, and Yorkshire terrier, Tristan. One Paperback Copy of THRONE OF DARKNESS! 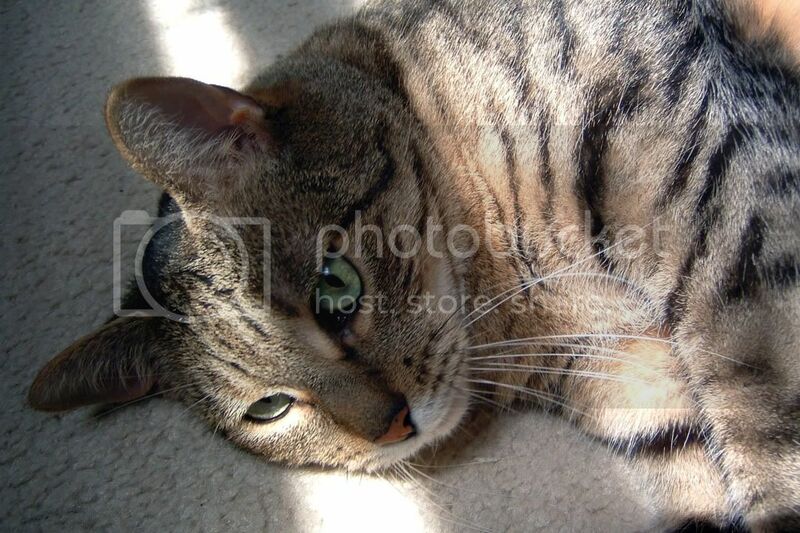 « Cat Thursday – Why Me?? I’ve always enjoyed novels set during this era and by adding a supernatural/paranormal storyline the author has joined two of my favorite genres together. I like stories based in this timeline and enjoy learning the intriguing little bits that one can always pick up from the real bits of information that an author puts into their tale. I am looking forward to the fourth story in the series and will absolutely read that one too. A poet turned novelist… I’m sure the prose would be so pretty! A creative and talented author whose writing would be enjoyable and great. many thanks for this feature. I love fantasy and historical fiction, and this sounds like a great combination of the two. I need to check this series out for sure. Love the time period and setting for sure! I’ll have to look into these! In awe of your combined amazing research, terrific imagination, and storytelling skills……Brilliant! I didn’t realize there were more books to this series! I really enjoyed Something Red when I read it awhile back. This sounds like a unique and interesting book! I can’t wait to read it! I love that the books mix history and mythology. I was doing my usual blog browsing, and happened upon this post, which has made me want to read this book, which, by the way, is entirely new to me. As a diehard fantasy fan, I’m always looking for great new fantasy reads, and this one definitely fits the bill! It sounds like a richly-written, thoroughly detailed novel. The interview was such an interesting read, too! I was glad to discover that Mr. Nicholas is also a poet, as I love to read poetic prose passages in novels. And I really liked his candid answer to Melissa’s question about whether he believse in magic. It was a cute answer, too. How come I’ve never heard of this series? I really need to add it to my TBR list. 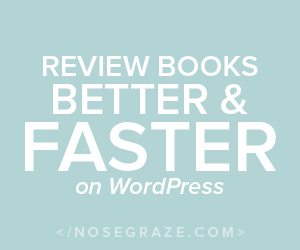 Thank you for the post, I’m always glad to find new books to read! liked the interview sounds like a fun one! Great interview and I love the synopsis. Fantasy is one of my favorite genres. The majority of the stories I read are dark or epic fantasy. I look forward to reading your works.